Even though Ubuntu and most other Linux distros have beautified their interfaces and made them more user-friendly, most everyday computer users still shiver when they hear the word Linux. Maybe this is because Linux used to have a reputation as “geek-only”, thus non-geeky computer users are afraid to even try it. 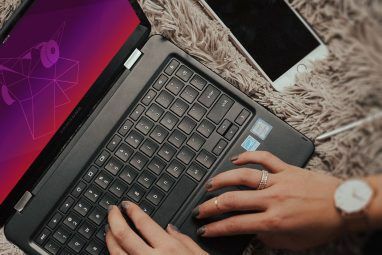 That’s why the folks behind Ubuntu have created a feature which allows users to try the OS – either from the live CD or from a USB drive – before deciding whether to install it or not. But having a bootable Ubuntu installation inside a thumb drive (some people prefer to call it a “jump drive“) goes beyond just trying it out. It’s – after all – a fully working computer OS inside the USB drive, complete with all of the necessary applications. You can use it as a portable computer, with the ability to save and store all documents and settings inside the USB drive itself (persistent mode). More advanced Linux users usually use this persistent mode boot drive as a recovery kit to fix problems. Here are the steps to put a fully working, USB Ubuntu Linux boot jump drive. 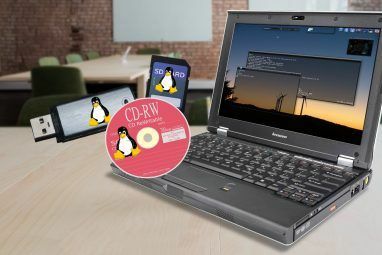 To be able to create a USB Ubuntu Boot Jump Drive, you first need to have the Ubuntu installation image (burned onto a CD Put your Linux Distro on a Live CD Put your Linux Distro on a Live CD Recently, Live DVDs and Live USB have cropped up as well. These live systems are full versions of the operating system that run completely from the given medium. Read More or mounted as a virtual CD) and a 1GB or larger USB drive. Plug in the USB drive, back up the content (if there’s important data on it) then format it. After that, browse onto the Ubuntu CD, find an application called “usb-creator”, and run the app. The “Make Startup Disk” window will open with options to customize the process. You can choose the source of installation (disk image or CD), and the destination (USB drive). Then you should set the amount of space from the USB drive that you want to use to store data. Since the amount of reserved space will be the maximum storage space that you can use to save your documents on the go, it’s important that you set it as large as possible. Logically, using a larger capacity of thumb drive would be better. Even though you can use a 1GB drive and set the reserved space to 250MB; you can easily set the reserved space to 3GB if you use a 4GB drive. After you click the “Make Startup Disk” button, the process will start. This will take a while depending on the speed of your system and the speed of the USB drive itself. Then after the installation is done, you may reboot the system to start Ubuntu. The process can also be done from within Ubuntu itself. All that you have to do is to find an application called StartUp Disk Creator and go through the similar process as you did under Windows. Just a quick note, according to my experiments, creating the boot disk under Ubuntu is faster. Another alternative that you can use to create an Ubuntu boot drive is Unetbootin How To Install Linux With Ease Using UNetbootin How To Install Linux With Ease Using UNetbootin We've already talked about Linux and why you should try it, but probably the hardest part of getting used to Linux is getting it in the first place. For Windows users, the simplest way is... Read More . This application will also allow you to create a boot drive for other Linux distros. To use the boot drive, you need to boot your machine with the USB drive inserted. 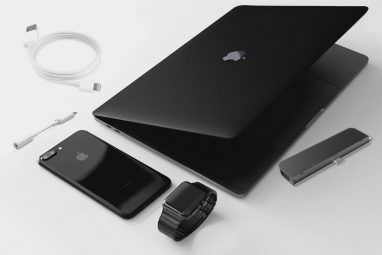 Some machines have already set the boot order to start from Optical Drive, then External Drive (USB included) and finally – when no other drives present – internal Hard Drive; while some others start with internal Hard Drive. You might have to choose the boot drive manually depending on your machine boot setup. Different machines have different setups, so you need to consult your documentation (or geeky friend) to know more. The most common way to change the boot drive is to press F10 during boot and use the Up/Down and Enter keys to choose which drive you want to boot from. Or you could permanently change the order of your machine’s boot drive using the BIOS setup. Some machines utilize F2 key during boot up to access the BIOS setup. But again, yours might use a different method. Installing Ubuntu (or other Linux distros) in a USB thumb drive is a perfect way to try out Ubuntu without modifying your system. It’s also a great way to have your own beautiful, fast, and virus-free personal portable working environment inside a thumb drive. Have you tried creating USB Linux boot jump drive? What do you use it for? Share your stories using the comments below. Explore more about: Ubuntu, USB, USB Drive. I have Puppy Linux 'Tahrpup 6.02' on an 8 GB SanDisk Cruzer 'Blade'. I use it as a recovery system if anything goes wrong with my Windows/Puppy dual-boot setup. What do you think I said?? "Would you like to adopt a puppy?" That is indeed quite odd. I've used Pendrivelinux and Linuxliveusb to install *buntus, Mint, LMDE, easypeasy, xpud, arch, and mandriva in my various usb thumb drives. I'm typing this in my main Linux thumb drive (8GB drive space, Linux Mint 10, 4GB persistence) created with LinuxLiveUSB. Works pretty well in my laptop and netbook (except that my netbook has Intel GMA 500 graphics which has virtually no Linux support). As I've mentioned above at my answer to sneakily1, the shorter method didn't work for me. But again, I should've mentioned that on the article. My apologize. I'm aware of the method that does not involve burning a CD. Somehow, that didn't work on my netbook computer. As I can't recommend something that doesn't work, I chose to describe the longer method. I wanted to mention this on the article but somehow I left it out. Sorry. This was my first experience with Linux and Ubuntu. I love being able to try it out and also use it on other computers. Yes, I am rather baffled why the writer would take readers through a laborious process of setting up a USB w/o persistence and w/ the need to burn an .iso on to a DVD. Hmmm. . . please offer rationale for those who are new to subject. Thanks! [Broken Link Removed] Others may want to try Linux Live USB Creator or the Universal over at pendrivelinux.com. Yes, I am rather baffled why the writer would take readers through a laborious process of setting up a USB w/o persistence and w/ the need to burn an .iso on to a DVD. Hmmm. . . please offer rationale for those who are new to subject. Thanks! Others may want to try Linux Live USB Creator or the Universal over at pendrivelinux.com. If you go to the Ubuntu website they also give a method of doing this without having to mount/burn the image. You just download the software and point it at the image. I've done this numerous times. Saves ya a CD and/or a few extra steps.